Explore the top five unique neighbourhoods of the city. Now that the snow has finally melted, it’s time to explore what Mississauga has to offer. From the spectacular waterfront to the exciting downtown core, Mississauga has many communities with their own distinct identity. Take the time to visit these five districts filled with heritage houses, modern construction and beautiful parks that shape the city. Clarkson is the oldest Mississauga community and features a wide variety of shops, restaurants and services. Just a short distance away is Rattray Marsh Conservation Area, where the trail leads you through mature forests, floodplain features and a green ash swamp. 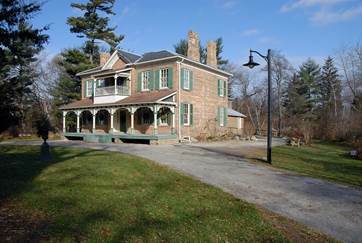 To learn more about the history of the area, travel back in time with a visit to the Bradley Museum and the Benares Historic House. At the heart of the city, Mississauga’s downtown is home to the Civic Centre, Celebration Square, the Central Library, the Living Arts Centre, the Art Gallery of Mississauga and Ontario’s largest shopping mall, Square One Shopping Centre. It’s always buzzing with activities, festivals and concerts for everyone to enjoy. 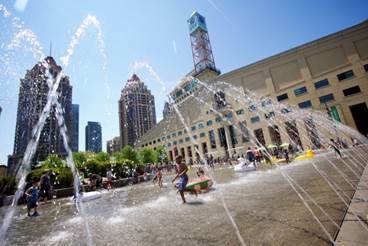 Whether you love shopping, entertainment or learning, downtown Mississauga has it all. Meadowvale is one of the most active communities in Mississauga, filled with many parks and trails. To get your body moving, stop at Lake Aquitaine Park for stunning views of a man-made lake and get your workout on at the six exercise stations around the pathway loop. 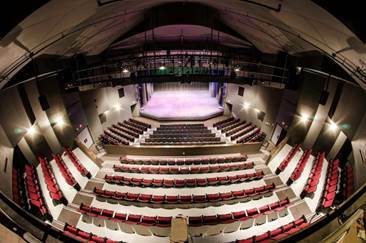 If you love live performances, check out Meadowvale Theatre to experience all aspects of the performing arts, including music, drama, comedy, dance and musical theatre. 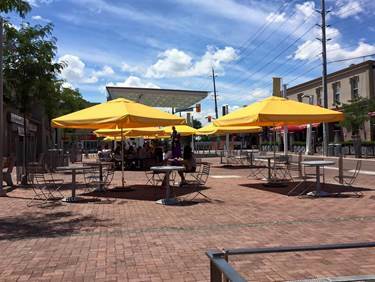 As one of the city’s top cultural, entertainment and culinary districts, Port Credit’s old fashioned atmosphere is an incredible experience in Mississauga. With over 400 shops and exceptional restaurants as well as exciting festivals and events, this lakeside neighbourhood is a place you can’t miss. 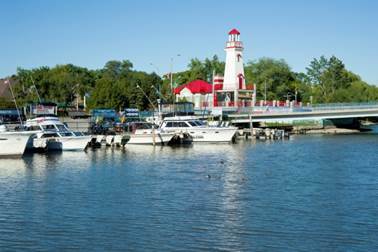 For nature lovers, the Waterfront Trail runs through Port Credit and offers popular paths for walking, cycling and rollerblading in the city. Streetsville has a small town charm that you won’t be able to find anywhere else. It’s a beautiful neighbourhood with many restaurants, bakeries and cafés that offer an assortment of dining options from formal afternoon tea to casual fish and chips. This lively area is a great place to discover, whether you are meeting for a coffee, enjoying an ice cream or listening to a musical performance. Pick up a map, grab a friend and go explore these wonderful parts of Mississauga. To learn more about what the city has to offer, visit discovermississauga.ca.